Some bloggers are focused. They write about a single topic in a single genre on a single platform from one profile. Others are more diverse. They write about a variety of topics in multiple genres across several platform using different profiles. There are unique advantages and challenges to both. In most cases, however, the tightly focused blog with a well-defined purpose, audience and voice will succeed faster and sustain that success longer than one that is more general and appeals to a broader audience. Consider this: newspapers, that bastion of general information with a local or regional twist are struggling to survive online. Many magazines, which have more tightly defines topics and audiences are flourishing. So are many niche blogs. 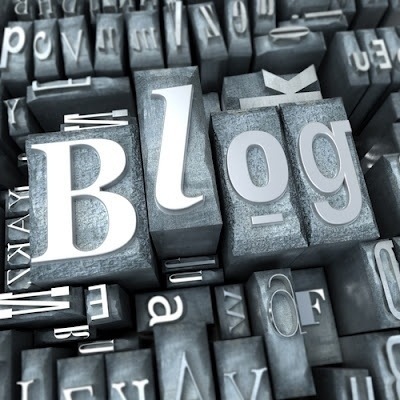 Of course, some general blogs are flourishing as well, but these are often large websites the collect a number of smaller niche blogs under their umbrella and brand. I’ll let you in on a little secret: most bloggers, indeed most writers, are not that focused. The successful ones certainly aren’t. They just seem like they are. Name your favorite blogger. Now list all of the places you can find their content. Chances are along with their main blog or website you also listed book, podcasts, ebooks, videos, other online presences like Facebook, Google+ or Twitter, maybe a personal blog or page, a television series, a radio show, a tour or even a bricks and mortar location. If you look closely at all these access points, you’ll see that, although they are all penned by the same individual (though not always under the same name) they are NOT carbon copies of each other. Part of that is because different media both require and provide different things. Hopefully, part of that is also by choice. Here’s another secret: the more successful and professional a blogger is, the more likely all those “other” places are to be deliberately different. Now take a look at your blog and the other places where your content can be found. What do you see? Most of us, and I include myself in this, see a hodge-podge of blogs, websites, profiles and media. Some of this is regularly maintained. Some of it is sporadically maintained and updated every few days or weeks. Some is rarely maintained to the point that the lights are on but no one is home very often. And some have been abandoned or lost to the mists and swift currents of online trends and Internet time. By now, you’ve probably figured out where this is going. If you want to be a successful blogger, you need to focus…and diversify. The mistake most bloggers make is that they try to do too much too soon. They choose a topic that is too general, try to establish themselves simultaneously in too many places and generally end up frustrated before they have really given themselves time to succeed (believe it or not, online success, like offline success, rarely happens overnight, it takes time and a lot of prep work to make it appear as though it does). Why are you doing this? What do you hope to accomplish? It is and it isn’t. I can tell you from personal experience doing all this, let alone doing it to the best of your ability which is one of the keys to being a successful blogger, is easier said than done. I can also assure you that it is do able. It even gets easier as you learn more and discovers tools that can help you work smarter and faster not more. Eventually success becomes a habit we can all have and share.